As plenty of devices and cables are added into data center cable racks, cable management in racks becomes one of the most pressing challenges for data center managers. To avoid rack cables looking like messy spaghetti, rack cable manager has long been an ideal solution to keep rack cables properly organized. But there are so many kinds of rack cable managers in the market, do you know which one to use for a specific situation? Here discusses some popular rack cable managers and their respective applications. To better understand different kinds rack cable managers, we’d better to know the four cable management sections of a rack. Which are horizontal cable management, vertical cable management, inside of the rack cable management and top of the rack cable management. Horizontal cable managers and vertical cable managers are used for horizontal and vertical cable managements respectively, while copper/fiber patch panels and fiber raceway systems are for inside and top of the racks. 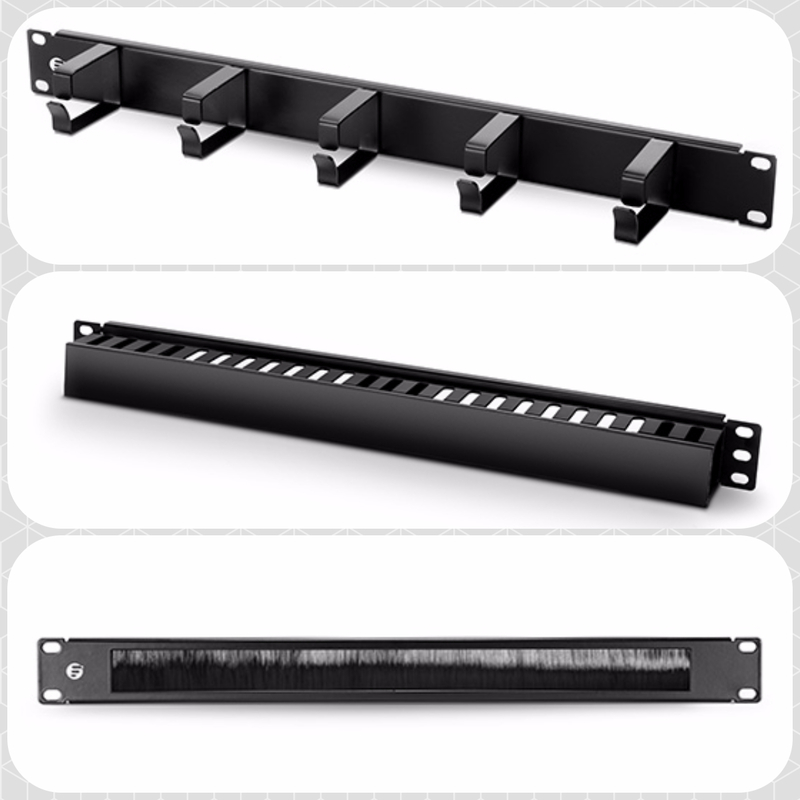 The following parts will introduce various cable organizer for these four cable management sections. Horizontal rack cable manager is often used to manage cables in the front of racks and draw cables away from equipment neatly. It is usually one or two rack units high. Now there are many types of horizontal rack cable managers in the market, which are mainly divided into finger duct rack cable manager, D-ring horizontal cable manager and horizontal cable manager with brush strip. 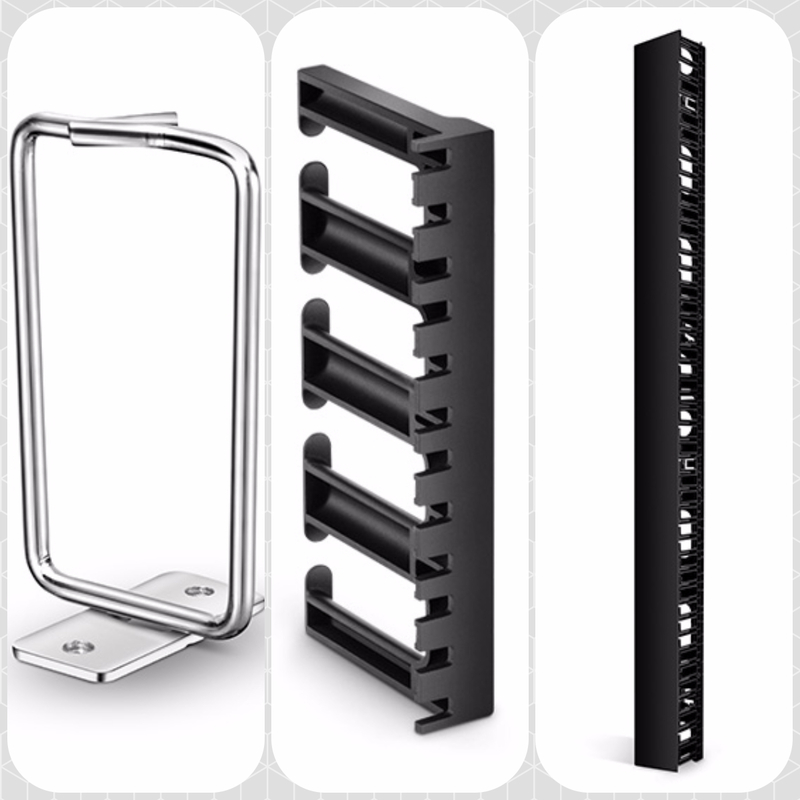 Among them, finger duct rack cable manager offers fingers and pass-through holes for routing rack cables and reducing cable strains, D-ring cable manager provides an “open” and efficient way to manage cables, brush strip manager is mainly used for allowing cables to be passed from the front to the rear of the rack. For more information on these three rack cable managers, read Selecting the Right Horizontal Cable Manager. Vertical rack cable managers are used for providing vertical pathways for cable bundles in the rack. Now the common types of vertical rack cable managers are D-ring vertical cable manager, vertical cable manager with bend radius fingers, and open frame rack vertical cable managers. 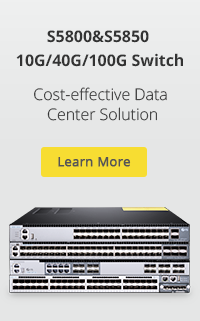 The first one is a cost-effective solution for organizing and routing cable bundles. The second one is designed to maintain cable bend radius effectively. And the last one is available in single-sided and dual-sided models, which are specially used on the sides of open frame racks. For more information on these three rack cable managers, read Vertical Rack Cable Management: Where to Start? Copper/fiber patch panel is used to manage cables in the rack. 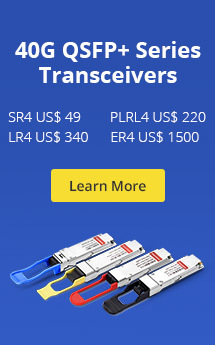 It is often a board or enclosure which allows you to connect cables in various combinations with a number of copper/fiber sockets. Copper/fiber patch panel helps to keep things organized and contained, therefore cables in the rack won’t hang out all over the place. For more information about copper/fiber patch panel, read How to Use Fiber Patch Panel for Better Cable Management and How to Select the Suitable Copper Patch Panel? Horizontal/vertical rack cable managers, fiber raceways and copper/fiber patch panels are good ways to manage and route your rack cables to sure everything is easy to access and identify. It is suggested to select proper rack cable managers according to your needs during set-up and installation of network cabling system. This entry was posted in Cables Management and tagged Horizontal cable manager, Rack Cable Manager, Vertical Cable Manager. Bookmark the permalink.